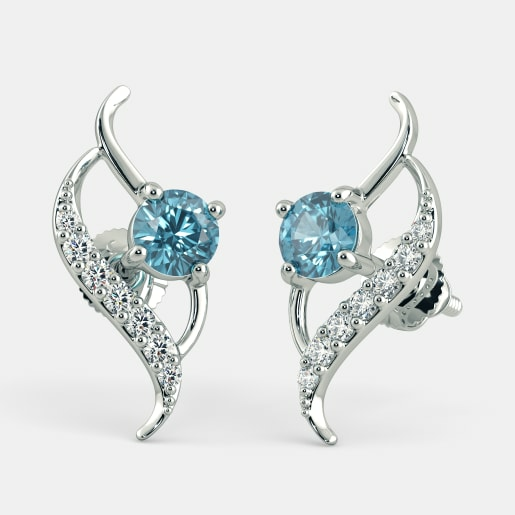 The blue colour of topaz lends a magical allure when combined with white gold. 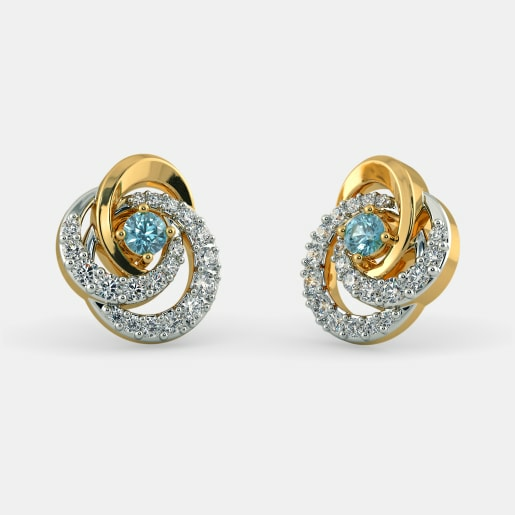 We make the best of this combination in our white topaz earring designs. 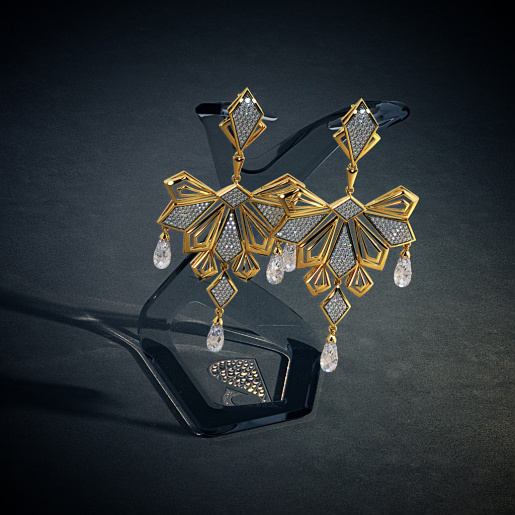 Crafted to perfection, the earrings in our collection will win your heart and transform your overall look when you wear them. 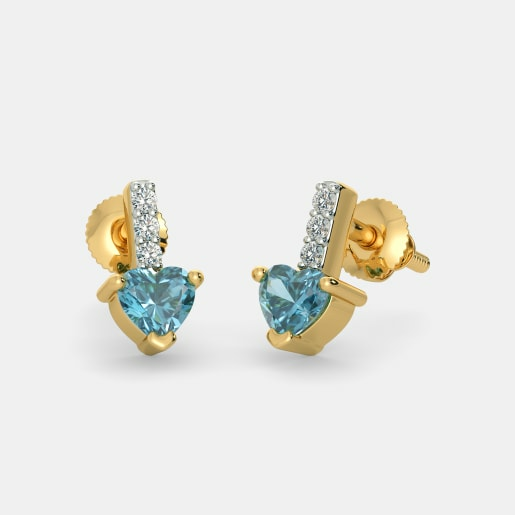 From icy blue to an attractive aqua, the different shades of blue of topaz make topaz-studded jewellery absolutely lust worthy. 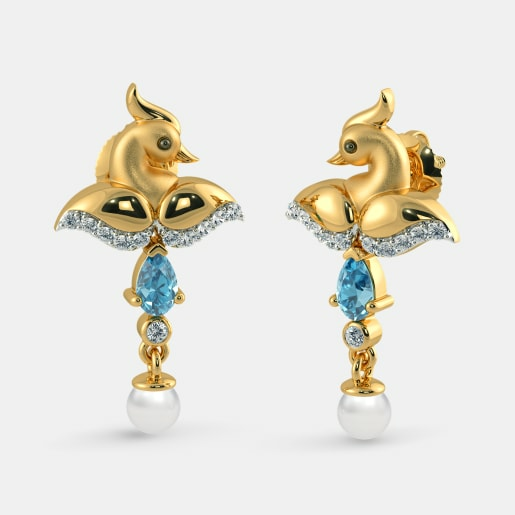 While its cool blue hues work wonders on white gold jewellery, they also make the combination of topaz with other white gemstones ravishing, such as with diamonds and pearls. 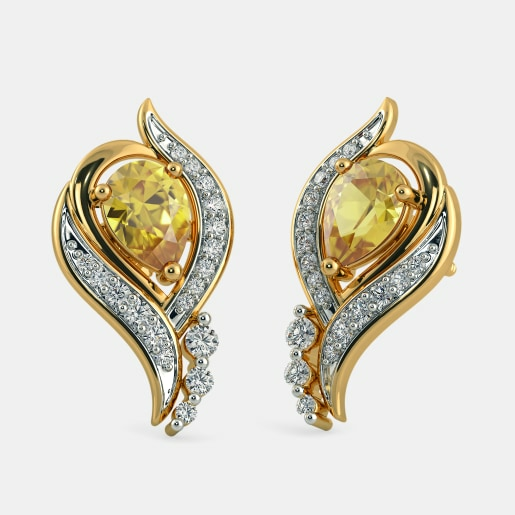 You can spoil yourself silly with the pieces at BlueStone available at equally attractive white topaz earrings prices. 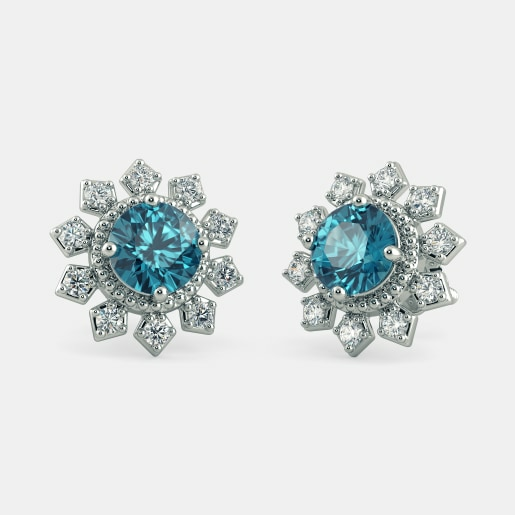 Considered to be the birthstone for December, blue topaz has many fans around the world. However, the craze for this stone is not a new phenomenon. 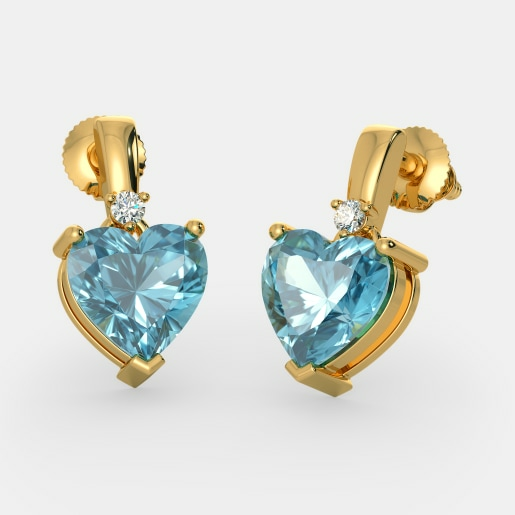 Humankind has kept blue topaz at a high pedestal throughout history. 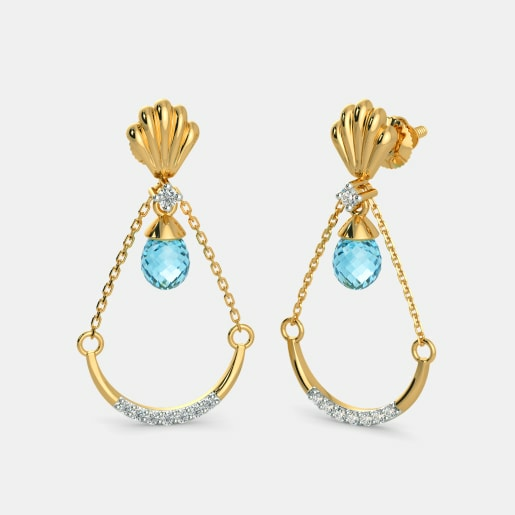 The name topaz is believed to be derived from the name of the island of Topazios in the Red Sea. The origin of this stunning gemstone’s name has also been traced back to the Sanskrit word “tapaz”, which means “fire”. According to the ancient Greeks, it was believed to be the stone of strength. During the Renaissance period, the Europeans believed that topaz could dispel anger and break magic spells. People in ancient India believed that it assures a long life, intelligence, and beauty when worn as jewellery above the heart. Irrespective of the beliefs, history, and lore associated with topaz, it continues to be one of the most valuable gemstones on earth. At BlueStone, we handpick the best pieces to suit your fine taste in jewellery. 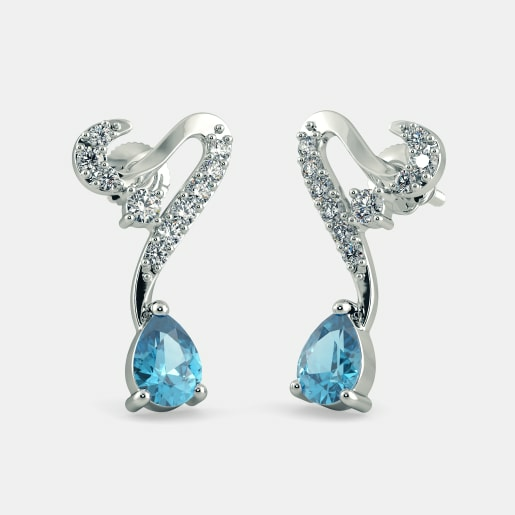 Our extensive collection of gorgeous jewellery includes topaz earrings made of white gold. This combination is the perfect complement for all occasions and every kind of attire in your wardrobe. These versatile pieces weave magic by combining the clarity and strength of the gemstone with the adaptability of white gold. 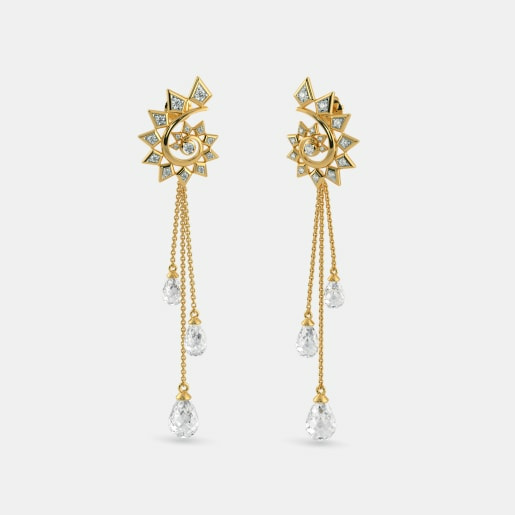 All the earrings in our collection are made using high-quality gold, including 18kt white gold and 18kt gold coated with rhodium to give it the typical white gold sheen. 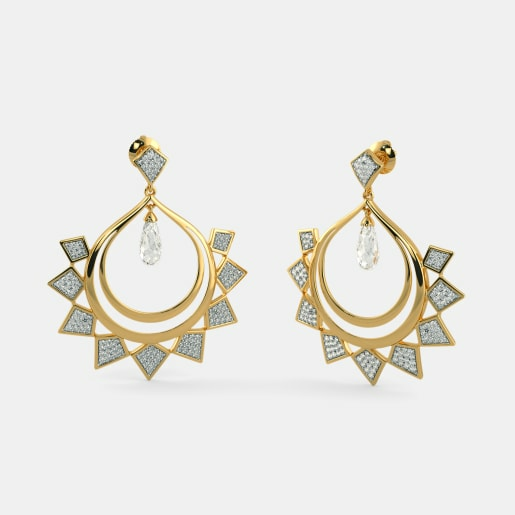 Browse our selection of gemstone jewellery to buy white topaz earring designs of your choice. 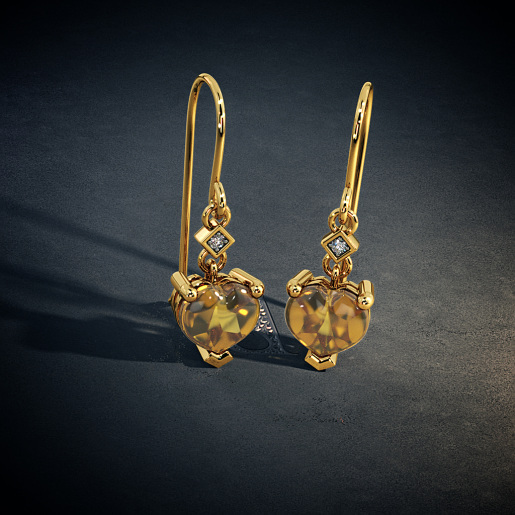 The Calliope Earrings are pear-shaped earrings made of 18kt white gold featuring an inverted teardrop topaz with its brilliant cuts on display. It is studded with sparkling diamonds along the outline. 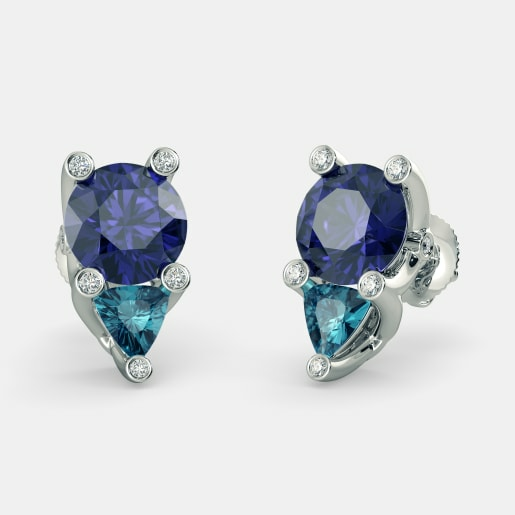 The Paloma Earrings are mesmerizing pieces of jewellery designed to exude royal charm with a triangular blue topaz and a dark blue iolite accompanied by glittering diamonds, all of them set on an 18kt white gold base. 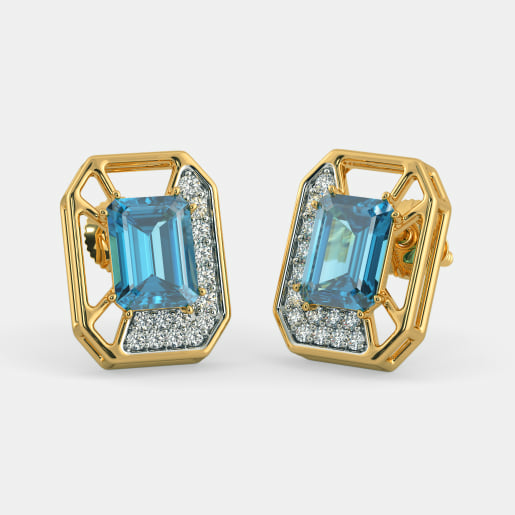 The Lylia Earrings are 18kt white gold studs shining bright with the radiant blue topaz and diamonds studded on them. 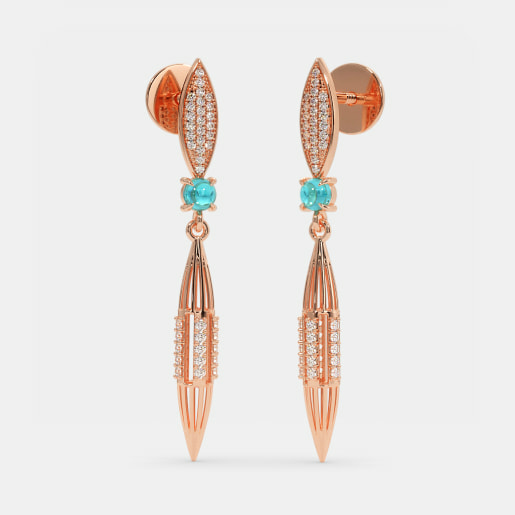 For drop earrings that make you look drop-dead gorgeous, check out the Notable Artistry Earrings and the Chantelle Earrings. 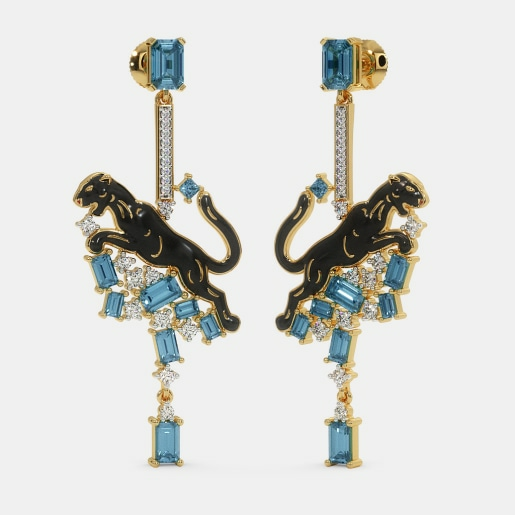 They both have a unique design made of 18kt white gold and studded with a pear-shaped blue topaz and multiple diamonds. When you buy white topaz earrings online at BlueStone, you can be sure that you will be spoilt for choice. 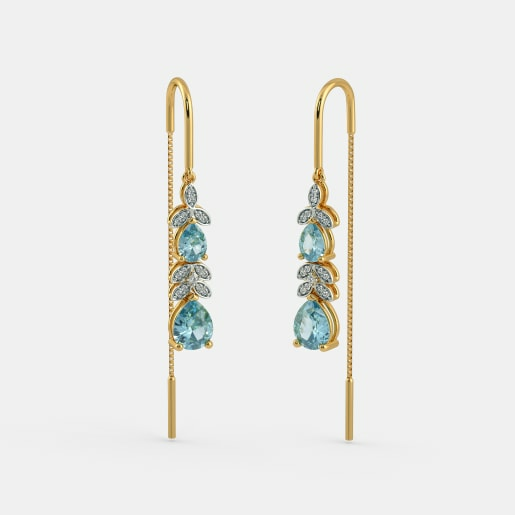 The stunning gold earrings in our collection match the beauty of blue topaz with white gemstones in different shapes and sizes. The Quentao Earrings are must-have studs. 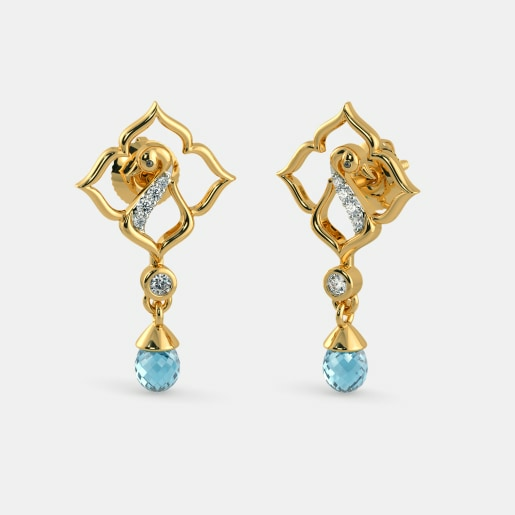 They are made of 18kt gold and encrusted with a sky blue topaz and diamonds in an inverted triangle design. 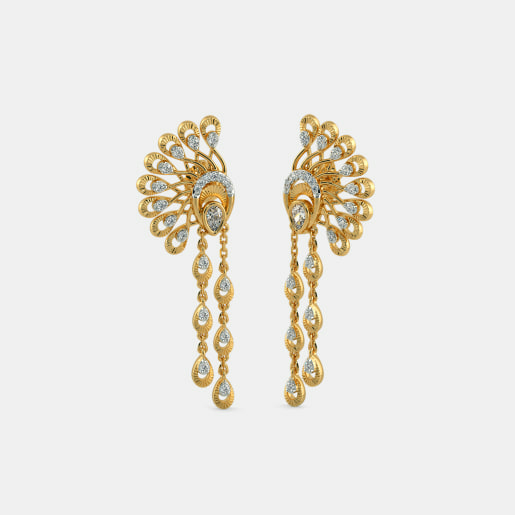 Another pair of studs is the Azura Earrings that will cast a glow on your face with its beautiful intertwined triple ring design. Two of these rings are studded with diamonds and at the centre of the three is a little blue topaz. 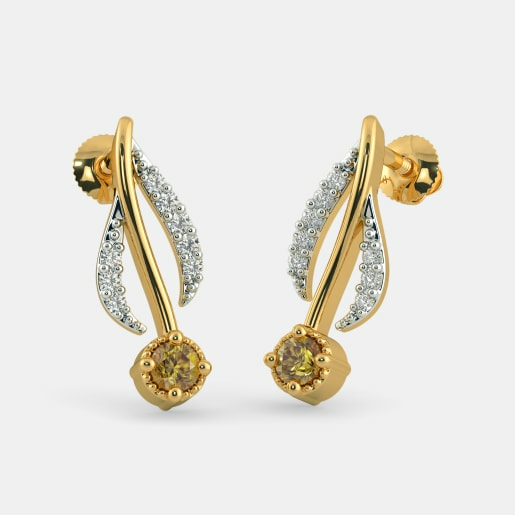 The Akshara Earrings are drop earrings made of 18kt gold and studded with diamonds and a bright pear-shaped topaz. Add a pearl to this heavenly combination of topaz and diamonds, and what you get is sheer magic. 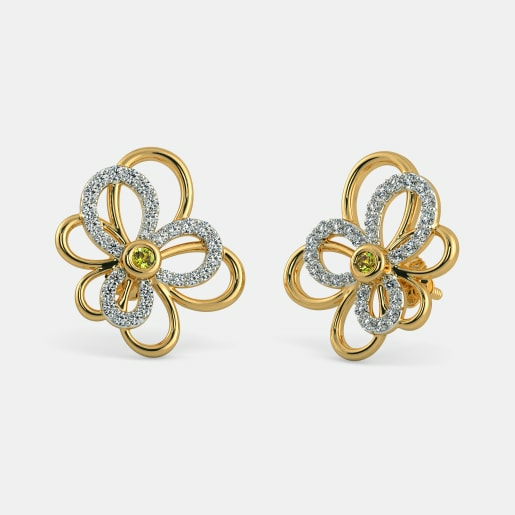 An epitome of this magic is the pair of the Princess Bloom Earrings. 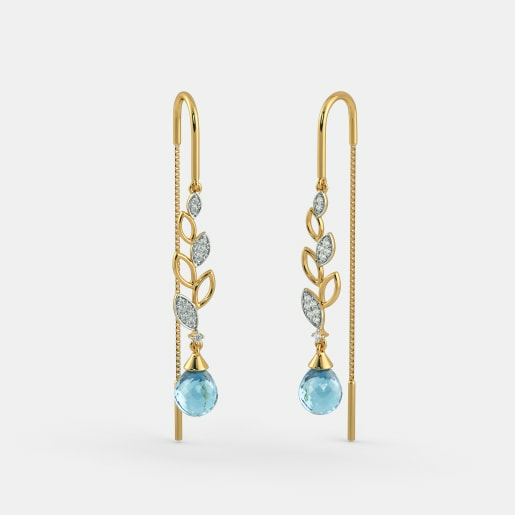 These earrings are crafted in the shape of a flower in full bloom using 18kt gold with a blue topaz in the centre and a flawless, white pearl hanging down from it. Can you handle all that beauty!